Add a stone you've scrubbed a lot. Add potatoes for a treat. Share "Stone Soup" with everyone! Today we were invited to go with Elder Del Castillo and Elder Rivera to go to San Isidro. There is a small group of members there, many are new converts and we have been teaching them principles from My Foundation, Principles, Skills, Habits. This was our first time teaching with these two Missionaries. Elder Del Castillo has only been in the Urdaneta mission for less than two weeks and it was exciting to see how well prepared he is and listen to him teach. Today’s we covered lesson 7 Become One, Work Together. Sister Anderson taught the lesson and used the example of Stone Soup to illustrate the point of working together for a common goal. There are many variations to this story, she explained it the way she taught our children when they were little. I love listening to her teach! I love watching her and seeing how sincere she is how then watching those she is speaking to as they understand what she is saying and I can see their love for her as she explains things so well. What a blessing she is to my life and to my family and now to the people here in the Philippines. It is getting close to dinner time for the family and the mother is so worried because her cupboards are bare. She has nothing to feed her children. As she ponders what to do, one of her children asks, “what is for dinner Momma?” She replies, “Stone Soup”. She gets her biggest pot, fills it with water and puts it on to boil. She then takes a few smooth stones and scrubs them clean. As she finishes one of her friends happens by and asks, “what are you making?” She replies, “Stone Soup for dinner, would you like to join us?” “oh yes, replied her friend”. Momma then asks, “Do you have an onion or two that we could add to the soup?”. Her friend hurried home and came back with some onions which they chopped and added to the boiling water. 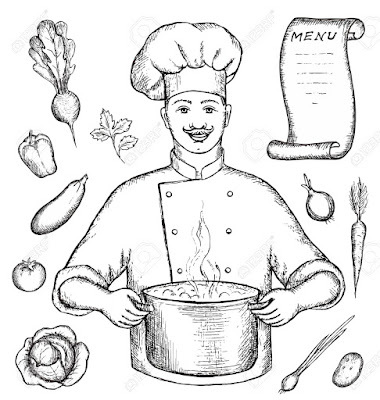 Soon another friend smelled the aroma of boiling onions and asked, “what are you making?” “Stone Soup” she replied, would you like to join us for dinner? “That would be nice, can I bring something?” “Maybe you have a few carrots to add” said Momma. Her friend went home and soon there were chopped carrots bobbing in the soup. Other neighbors came and brought beans, both fresh green and dried red beans. Another added some fresh tomatoes and some herbs from her window garden. Soon the house was filled with the aroma of a delicious meal and the sound of friends and family enjoying each others company. This is just one simple example of how we can work together for the good of all. There is no burden here for one but the sharing of time, talents and resources with each other. We have a friend in La Union who drives a trike during the week. He does not work on Sunday but uses his tricycle to help friends get to church. He has learned that by service to others he is also blessed. President Dieter F Uchtdorf said, Often, the answer to our prayer does not come while we’re on our knees but while we are on our feet serving the Lord and serving those around us. Selfless acts of service and consecration refine our spirits, remove the scales from our spiritual eyes, and open the windows of heaven. By becoming answer to someone’s prayer, we often find the answer to our own. 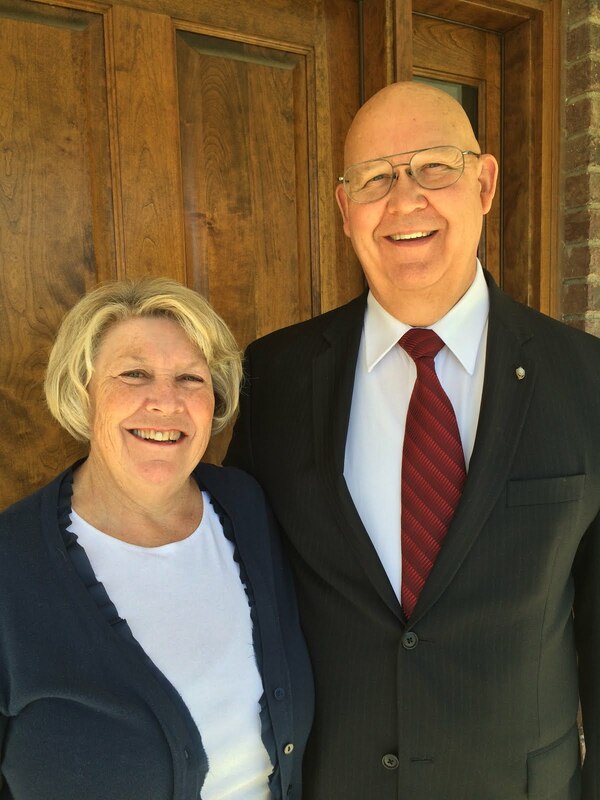 On June 10, 2016, a warm Friday Morning, Sister Anderson and I visited the Malasiqui 2nd Branch. They were hosting their “FamilyOlympics”. They had all kinds of games to play, relay races to run, just a great family day including Fun, Family, Friends and Filipino Food. Wow I like that 5 F’s --- Fun, Family, Friends and Filipino Food. What could be a better way to spend the day. We were on our way to another appointment so were only able to stay less than an hour. We watched the children run a relay race where they had a row of 7 glass pop bottles lined up on the grass about 3 or 4 feet apart from each other. The first relay runner was given 7 straws and had to run down the line and place a straw in each bottle, run around a chair, shake their body and run back collecting all the straws. The next person followed the same. So much fun. When we were visiting with the members who were sitting the shade watching, we met Sister Ballesteros. She is 82 years old, Beautiful and full of spirit. When she introduced herself she said, “I am a Pioneer”. She told me that she was one of the original members in this area and helped to build it into what it is today. I asked Brother Eric and Sister Janice Gatus to help me get her story to share with you here. Faith… How can we say we have, and how firm or strong it is? In my everyday struggle faith has been my powerful armour. In many years, being a member of the Church of Jesus Christ of Latter Day Saints, I always look ahead and with full strength and keep my hands holding to the iron rod which brought me endurance in sailing this narrow path towards eternal life. September 3,1933 was the day I was born, the eldest and the only daughter among 4 kids of Nicanor Sabado Graneta and Dominga Balaba Tangunan. I grew up going to a Methodist church. My father was a minister in this church. After high school, I went to National University and took up Bachelor of Secondary Education. After college, I met a man, Calixto Domantay Ballesteros who was working that time at the Atlantis Grief and Pacific Corporation. He won my heart’s attention and finally got married at a Protestant church on April 15, 1953. He was a pure catholic from Malasiqui,Pangasinan. We were blessed with 10 children, 6 boys and 4 girls. They were all baptized in Roman Catholic Church. As we work together in nurturing our children, I was worried since we came from two different churches. I really love our family and I wanted to be with them eternally. So I always prayed to God to help us worship all together one and true church where we can exercise our faith. We have a big family. And as we go along, my heart started to look for more since Protestant has knowledge about salvation but I felt insufficient in doctrines that I was longing for. With that being said, we found the Church through my eldest daughter Zenaida who worked in Barcelona Spain for 7 years. She was converted and brought home the complete gospel of Jesus Christ. My daily prayers were answered. Significant changes occurred after our conversion. We’ve learned that Heavenly Father had plans for us. Where we came from? Why we are here? Where we are going? Our family stayed close to the church as we spent our daily lives and learned that He loves us. Through prayers we can constantly talk to Him. And by obedience it brings blessings beyond compare. By reading scriptures together, we managed to strengthen our faith. We felt assurance of safety, peace, inspiration and courage which significantly helped us in making it this far. Last week we visited Sister Ballesteros in her home and took these pictures. Sacrament Meeting was held here for 4 years! "Is there not something deep in our hearts that longs to draw nearer to God, to be more like Him in our daily walk, to feel His persence with us constantly? If so, then the Book of Mormon will help us do so more than any other book." May you draw comfort and strength from your memories. Did you know that they did not always have P day (Preparation Day) for missionaries? Can you imagine such a thing? When my brother Wayne was on his mission in Africa they had Diversion day. Then it was later changed to P Day. I cannot remember for sure if I ever had Diversion day or if it was always P Day. I seem to recall that it changed about the time I went to England. The problem with Diversion day was that missionaries took a diversion from being missionaries. P Day attempted to change the focus. Many missionaries wear other clothing on P Day which is acceptable if necessary. For example, playing basketball is not good dressed in white shirt, tie and slacks. However playing ping pong in the church is just fine with a tie on. So is a lot of sight seeing activities. In England we always wore a suit but not on p day. We were in jeans and casual shirts. In the Philippines, I only wear shorts and tee shirt or golf shirt in my apartment. The other day President dropped in. I was in the bedroom working on the computer and I had worldly music playing fairly loud (In the Hallow of Thy Hand) and I was singing along. Cathy opened the door and told me President and Sister Deyro were here. I quickly changed into white shirt, tie, slacks (no shoes or socks) and went out to greet them. 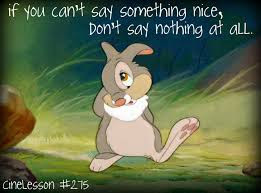 They didn’t say anything about my singing so either they didn’t hear or they had received the same training as thumper. You know, in the movie Bambi, "if you can't say something nice, don't say nothin' at all"
When I told Rachael about this she wrote back and said, "I imagine your worldly singing to be somewhat similar to the singing you loved to engage in while attending the deaf ward with grandma. That makes me giggle when I thinking that story. " To not leave you in the dark will require me to explain this story. My Mother lost her hearing when she was 7 years old. From that time until she passed away in 2014 she never heard another sound. After my Dad died in 1986 many people in the family would take my Mother to church at the Deaf Ward. I always loved going with her. I have never been known as a great singer but I like to sing (mostly when alone so I do not embarrass myself. Well I figured I was safe in the Deaf Ward. I knew a lot of people there and thought I knew who could hear and who could not. One day i was singing loudly and I think adding a little English accent from my mission to spice it up. When the meeting was over one of my Mom's friends, (I did not know she wore hearing aids) said to me, "I love to sit near you and listen to you sing. In May we had a family history exhibit at the shopping mall in Calisiao. It was put on by Family History and Public Relations. It was an awesome exhibit and there were a ton of people there. There were some public officials that came and of course many members of the church and non members who came in and looked and took the opportunity for a picture or two and to look up their family tree on the computers that were there. Our friends Elder and Sister Reyes have been released from SR and are now Family History missionaries so they MC’d a lot of it and were there the whole time. 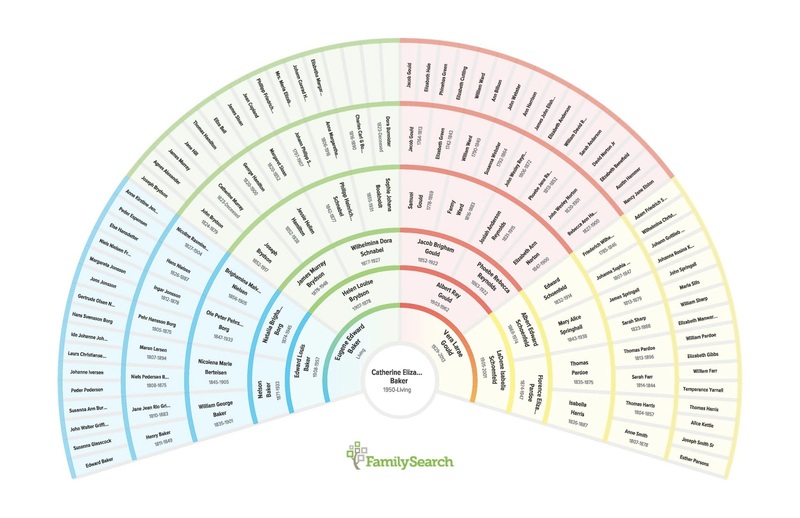 They had seen our letter size pedigree FAN charts and asked us if we would have them printed large (3x4 ft) for them to display. So we did one of Cathy’s side of the family and one for my side. It was so much fun to stand by them and tell people stories of our ancestors. It will be fun when we are home to have time to do some family history work. Self-Reliance thought... This one speaks for itself. Henry Ward Beecher once said, “It is not well for a man to pray cream and live skim milk.” (Proverbs From Plymouth Pulpit, ed. William Drysdale, New York: Appleton, 1887, p. 192.) That was a century ago. There is now before us a danger that many may pray skim milk and live that not at all. My son Allen recently shared that quote with me and I like it. He challenged me to read or listen to every conference talk since I was born. I have accepted the challenge and am almost through with the year I was born, 1951. It is very interesting to listen to the tone of each conference. April 1951 was the first one after I was born. WWII had ended a few years before. Korean war had started a year before. The cold war was just beginning and everyone was afraid of atonic and hydrogen bombs. The youth were scared there was no future for them. President George Albert Smith Died a few days before the conference and his funeral was held on Saturday and is recored as part of the conference. We did not have the Mormon tabernacle choir broadcasts yet, CBS had started an all faith religion broadcast recently and this week Elder Richard L Evans was the speaker nationwide, to all faiths. Conference included a Solemn Assembly on Monday. They made note several times that this was an unusual conference being presided over by the quorum of the twelve, David O McKay being the President of that quorum and they talked about how the quorum holds all the keys when the prophet and president dies. They talked about how many single and married women wanted to serve missions since so many boys were not able to go because of military service. They were allowing women at that time to serve when 21 years of age but changed it in this conference back to 23 as it has been previous and asked that no women with dependent unmarried children be presented by stakes for missionary service. They should stay home and take care of their children, even if grandma and grandpa were willing. No greater, no more important calling that that of a mother. It is my duty, it is yours, to be better today than I was yesterday, and for you to be better today than you were yesterday, and better tomorrow than you were today. Joseph Fielding Smith. Behold, verily I say unto you, go from them only for a little time, and declare my word, and I will prepare a place for them. On the 25th of May 2016 at 12:43 MDT Brooke Jessica Young was born into this world. Seven Pounds 7 ounces and Nineteen and three quarters inches of beauty and miracles. I will share a little of what I wrote in my journal. The Young family has been awesome – scheduling to take care of the kids and give Jessica time. Chris made the blessing dress – My girls, Rachael, Rebecca, Ashlie and Allen have all been awesome in helping where and when needed. FAMILY! My Mom always said, “what would I do without my family”. That’s right Mom, what would we do? I am so thankful for mine, including all the in laws of my children. They are all awesome consecrated families who know how to serve AND THEY DO IT! It was 3AM on Thursday in the Philippines when we received the call, what a wonderful world we live in. Forty-Five years ago I was in England when I received a telegram from my Dad that my nephew Chris had been born to Kent and Cindy. That was a wonderful blessing to receive that telegram within a day of the birth. However, the miracles of communication continue to grow as this day we immediately received voice and video calls and pictures, almost as if I was there rather than on the other side of the world, 8,000 miles and 12 hours ahead. Thank you Heavenly Father for the inspired men who have studied and prayed and brought these blessings to the world we now live in. So the scripture at the beginning of the post had meaning to us when we committed to serve a mission for 18 months. It has added meaning today as we see the blessings that have come and continue to come to our family. If you have ever considered serving a mission but have been reluctant to leave your family, let me assure you that it is not the easiest thing you will ever do, however, it is one of the best things you can ever do for your family.